DONEGAL South West TD Pearse Doherty has heavily criticised the Government’s Jobs Plan, telling RTE’s ‘Prime Time’ programme that the figures didn’t add up. 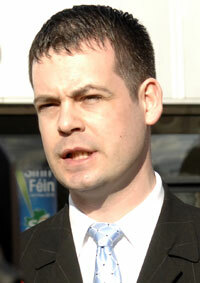 “There is no documentation to show where these jobs will come from,” said the Sinn Fein TD. The Action Plan for Jobs aims to get 100,000 people back in work by 2016 and another 100,000 by 2020. There are 270 different initiatives – with Opposition parties claiming they Coalition is re-hashing old initiatives. Earlier Taoiseach Enda Kenny hit back at Sinn Fein claims and said it was “daft” of Gerry Adams to ask how many people would be taken off the dole in the next year through the schemes. “That’s like saying how many seagulls flew over the Phoenix Park in the last three weeks,” the Taoiseach said.